Just when we thought it was all over GGAT have had to return to the Roman fort at Neath in order to extend the excavated area. It was discovered that the size of the building footprint as originally calculated proved inadequate for the new teaching block at Dwr-y-felin school. 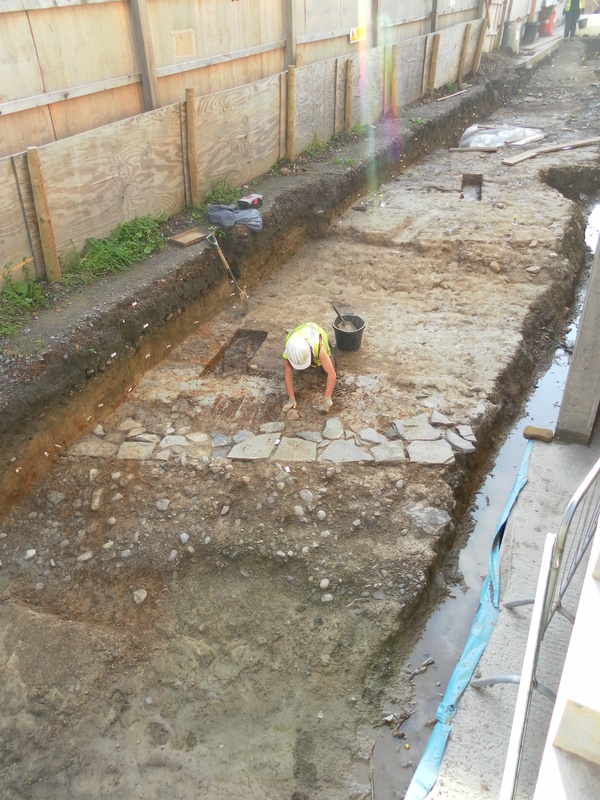 Although we only excavated a narrow strip around last year’s area, it provided us with lots of new information. 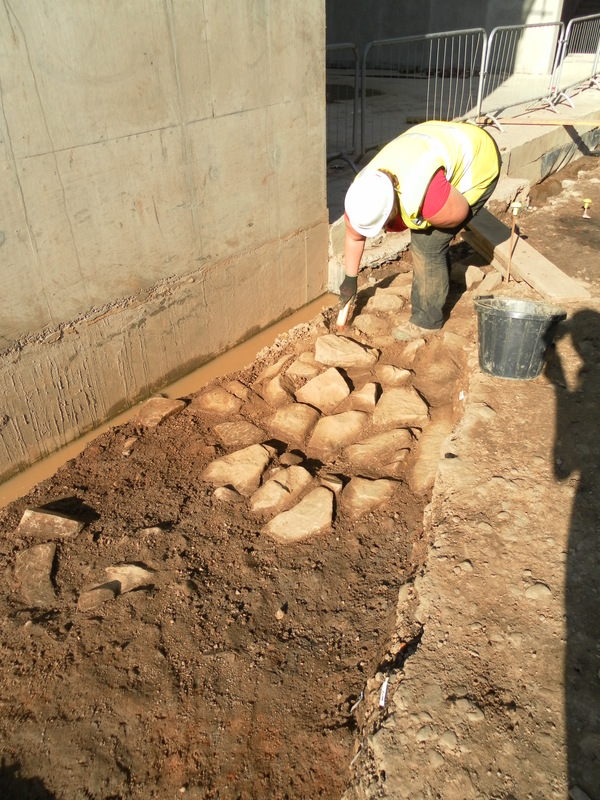 On one side of the new building, we have been able to see that the original clay structure of the rampart had been removed over the stone toe at the front to be replaced by a timber revetment made from two-inch planks. At the back of the rampart, the new revetment was formed from blocks of turf that had been stepped back so that the rampart was widest at the base. The new part of the via sagularis to be revealed had had pits dug into it. On the other side of the new building the new work revealed a T-junction, where the via sagularis, which here had drains on both sides, was joined by another road, which had the beam slots for timber buildings on either side. These probably represent the barrack blocks of the earliest fort. My name is Martin Tuck, a Project Officer with GGAT. My role alternates between fieldwork and office based report writing. At the moment I am engaged on the preparation of an archaeological excavation design, including Scheduled Monument Consent from Cadw, for additional work relating to the site of a Roman fort in Neath, where the Trust carried out an archaeological excavation during 2010, which continued through to the early part of 2011. 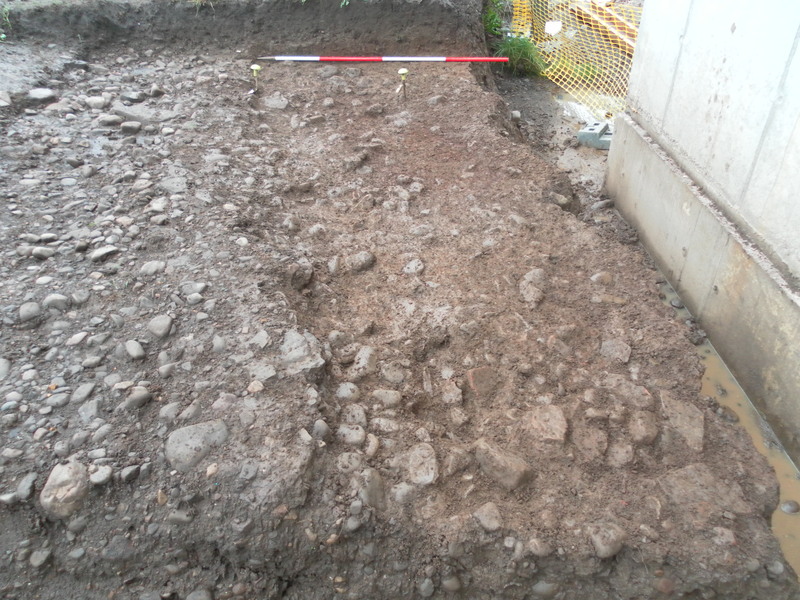 The Roman remains discovered related to a 1st century Roman fort, which included defensive ditches and associated rampart, cooking areas and an internal circuit road. The forthcoming works are likely to reveal details of part of the barracks.